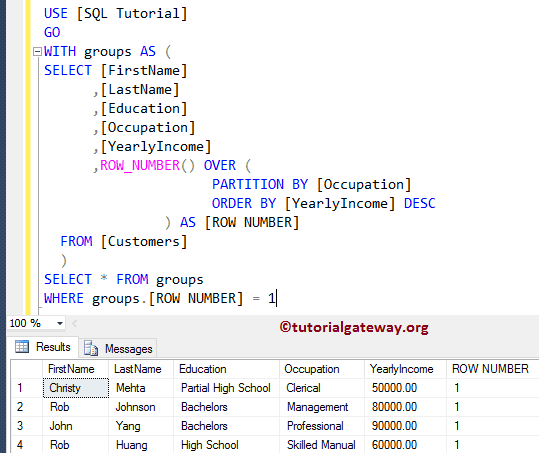 First, partition the data by Occupation and assign the rank number using the yearly income. Next, it is going to select the First row from each group. OUTPUT 2: Now we are extracting all the records whose Row Number is equal to 1. 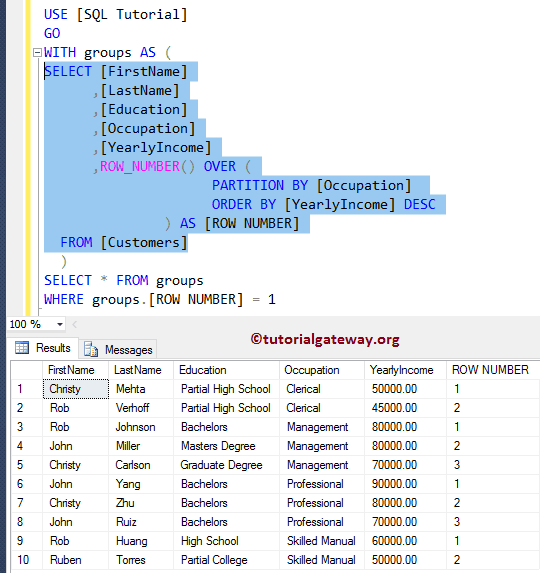 Next, we used the ROW_NUMBER() function to assign the rankings to the records. 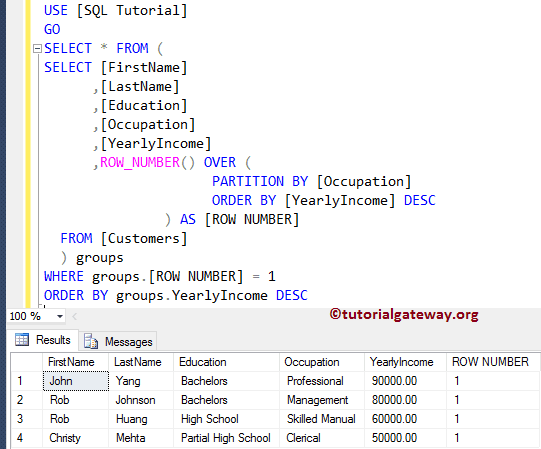 I suggest you to refer SQL ROW_NUMBER article. 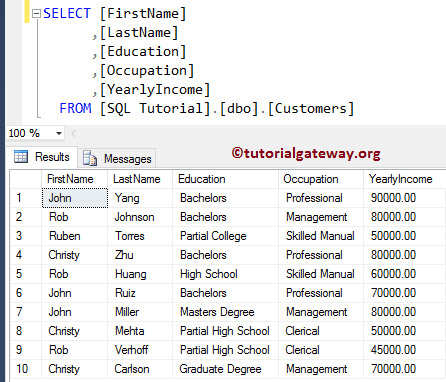 In this example we will show you, How to Select First Row in each SQL Group By group using sub query.